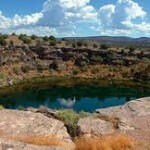 Verde Canyon Railroad **Special Vacation Packages with 10% off when booked through us. The Verde Canyon Railroad is 10 minutes from the B&B and offers a trip from Clarkdale to Perkinsville and back—a memorable experience! Amazing views of areas accessible only on this train. 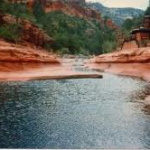 A scenic train trip through Verde Canyon, with numerous opportunities to observe Sinagua Indian ruins and a variety of waterfowl and wildlife. This railroad tour provides the only way to view this unique and protected wilderness area. The Verde Canyon Railroad and Flying Eagle have partnered on some packages combining a night’s lodging with a trip on the train. 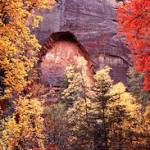 A beautiful tourist town only 20 minutes away with impressive red rock endowments, Sedona is surrounded by the 1.8 million-acre Coconino National Forest. 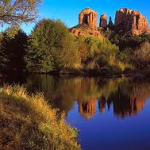 Sedona, Oak Creek Canyon and Oak Creek offer great shopping, dining and outdoor opportunities only 20 minutes from the B&B. A former mining town, 12 minutes away, built high in the Mingus Mountains, Jerome offers great views, a rich history, ghost legends, art galleries and great restaurants, wineries & bars. A “must see” for your trip! “Live Music” on the weekends. A charming tiny town tucked between Cottonwood and Jerome located 5 minutes away. Clarkdale is home to the Verde Canyon Railroad and gateway to Tuzigoot National Monument. “Live Music” on the weekends. 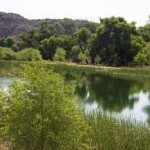 Another charming town located 5 minutes away on the banks of the Verde River, Cottonwood has great views of the surrounding vistas. Old Town Cottonwood offers great small shops, excellent dining, wine tasting and a picturesque state park. “Live Music” on the weekends. 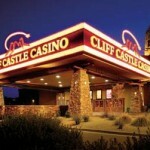 Just off I-17 and 25 minutes from the B&B, Cliff Castle Casino offers slot machine and poker excitement. Good luck!!! 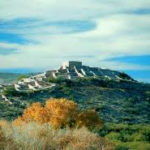 Tuzigoot is on the way to Clarkdale and is an ancient village built by the Sinagua people between 1000 and 1400 A.D. The 42 acre site is located nearby and open daily, except Christmas Day. Hours are 8 am – 5 pm in the winter, and 8 am – 7 pm in the summer. $3.00 entrance fee by the National Park Service. There is a visitor center, talks and guided tours and bookstore. No food available on the premises—bring your own. Located 30 minutes away, this is one of the best preserved and accesible cliff ruins in North America. Built by the Sinagua Indians more than 600 years ago, this 20-room, 5-story dwelling served as an early “high-rise” apartment. Open daily, including Christmas Day. Hours are 8 am – 5 pm in the winter, and 8 am – 7 pm in the summer. $3.00 entrance fee by the National Park Service. No food available on the premises—bring your own. There is a visitor center, museum and bookstore on the premises. Only 7 minutes away, this is a birdwatcher’s haunt, the 320 acre park is also good for picnics, camping, canoeing, bicycling, horseback riding and fishing. There is an entrance fee of $5.00 per vehicle or $1.00 per individual/bicycle charged by the State Parks Dept. for day use. Located 25 minutes away, this was the primary base for U.S. Army soldiers in the late 1800s who were assigned to handle Apache and Yavapai uprisings. The officer’s quarters are open as part of the museum to explain the history and methods of the frontier soldier. Open daily except Christmas, 8 am – 5 pm. $2.00 entrance fee for adults. 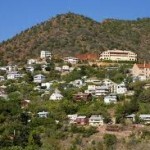 Accessible off of I-17 or over the Mingus Mountains via Jerome, Prescott is about 45 minutes from the B&B and offers historic charm with its downtown Courthouse area and Whiskey Row with great shops, restaurants and bars. 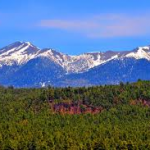 Surrounded by ponderosa pines, Flagstaff is about 45 minutes from the B&B off of I-17 and offers high elevation opportunities with cool summer temperatures and winter skiing. Visit the numerous wineries for wine tastings surrounded by amazing scenery! 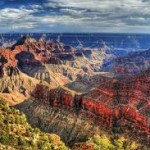 The Grand Canyon National Park is approximately 2.5 hours from the B&B. It encompasses 1,904 square miles, making it a popular vacation destination for people from around the world. The South Rim’s elevation is nearly 7,000 feet and has summertime temperatures of 50 to 80 degrees, compared to over 100 degrees at the canyon floor 5,000 feet below.